Yay! It’s Friday! The weekend has arrived and all is good in the world! 🙂 Is this how you feel on your total meal replacement diet, or do you feel the opposite? Here, we share some tips on how to start having fun at the weekends without food and drink. The “Friday Feeling” can be emotional for many people on a Total Meal Replacement diet plan. 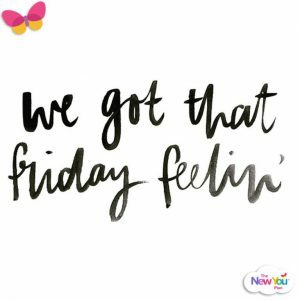 What does the Friday Feeling mean to you? Bottle of wine on the sofa? Going to the local pub? If your Friday Feeling is associated to these types of “events” then Friday night can be especially hard for you if you are on a Total Meal Replacement Diet. It is really important that you realise that you can easily change how you feel. The more you can start to add new and fulfilling things to do during your weekend, the more happier you will be on a Friday and the less important food and drink will become to you. Not only will this help you while you are on your total meal replacement diet plan, it will also help you a lot when it comes to maintaining. Your weekend must mean more to you than food and drink, if you are going to be able to sustain your slim figure when you get to your goal. So this weekend, put yourself FIRST. 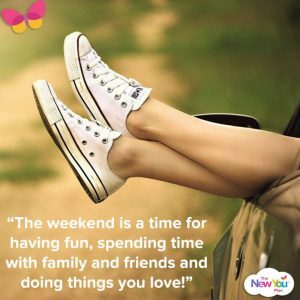 Enjoy your weekend, enjoy the spare time you have to create a healthier lifestyle, to make yourself feel better, to treat yourself, and to create new habits that will support you when you get to your goal. Remember that this time on a meal replacement diet is NOT FORVER. 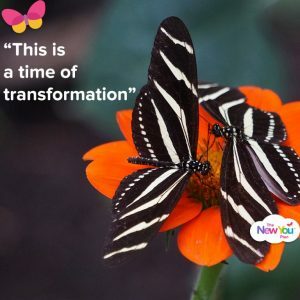 This is a time of transformation, of you getting slimmer and becoming more comfortable in your own skin. Nothing beats the feeling of trying on new clothes in smaller sizes and they fit perfectly. 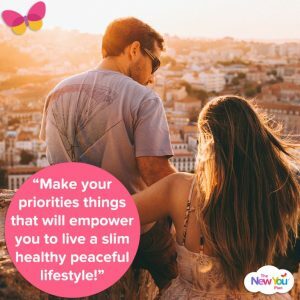 If you stay on your meal replacement diet, then you will be slim soon, and the feeling that you get when you are slim, is a feeling that you will not want to swap for a greasy takeaway and a bottle of wine. You WILL feel amazing soon, but you do not have to feel miserable now. Change how you look at your time on your diet. Don’t look at it as a time of deprivation; look at it as a time of exciting transformation. Live in the moment, and enjoy today for what it is, enjoy the process for what it is…. Thanks for this encouragement. Sitting here on Friday evening and yes, i am struggeling. Started TFR Diet on Monday so going in to manage my first weekend. Have allready lost 3.3kg and i am delighted and feeling great but the weekends are always the hardest. Will tell myself “When you change the way you look at things, things change the way you look.” and hopefully get trough to Monday morning. Hi Camilla! Lovely to have you here, good luck with your first weekend!! It will be SO WORTH IT!! When you are at your goal nothing will compare to how great you feel. Just think of anything you can do to make you feel good without food. It is important to try and find something to do, even if it is having a bath!